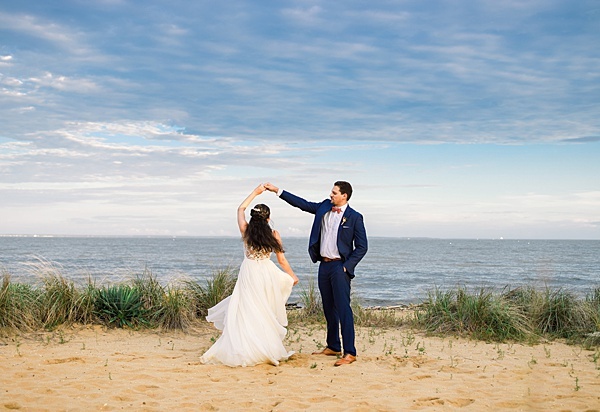 Marylanders seem to live for summer days at the beach, so it’s no wonder that so many Maryland Brides pull from that inspiration to create their perfect wedding. 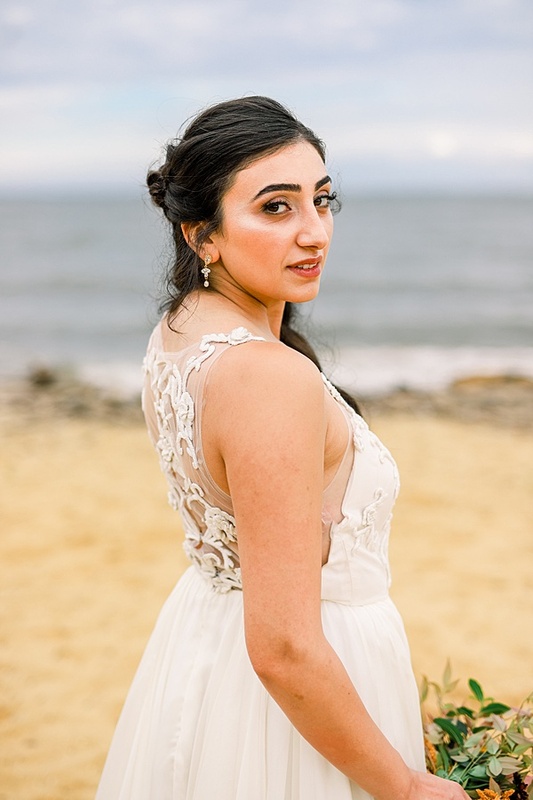 And, we were lucky enough to be a part of a team of 100% local vendors who created this styled shoot to get you ready for wedding season in Maryland! 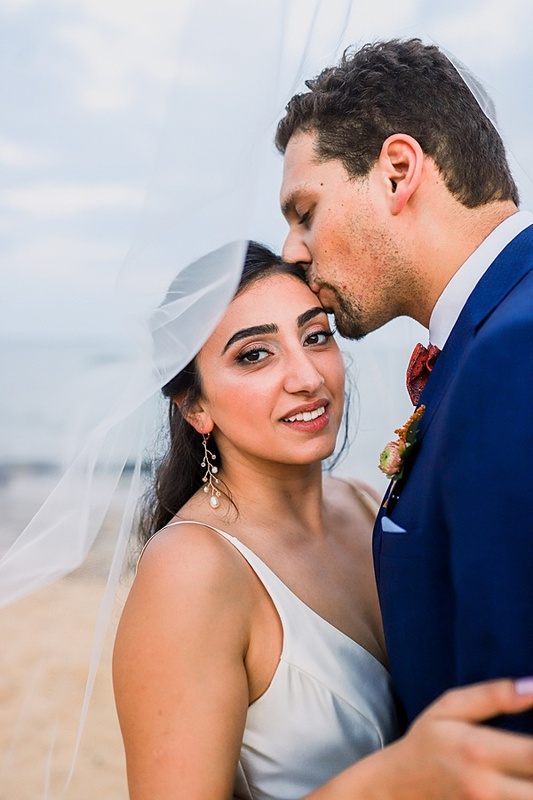 For this casual and playful affair, the bride is styled in TWO different looks (which means she got to enjoy TWO different pairs of J’Adorn Designs earrings to compliment her styles). She’s also adorned with one of our handmade hair combs! 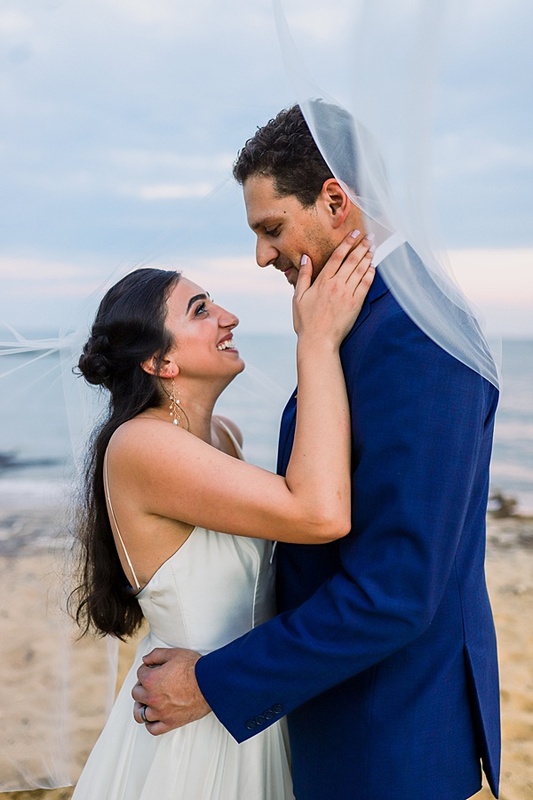 Waterfront Maryland weddings are a stunning way to capture the natural beauty and laid back ease of the ocean (or bay). And, the same can be said for this couple! 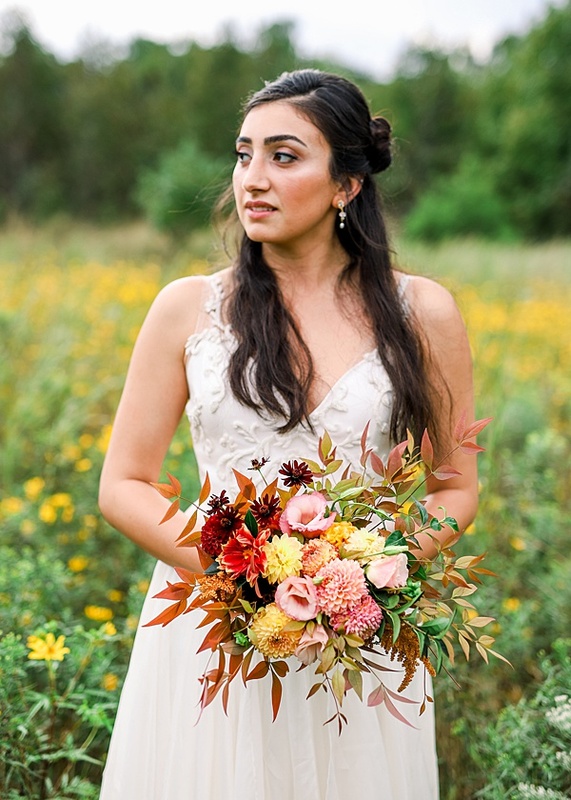 To enhance and play off of the natural vibes of the venue, above, we styled the bride in our Pretty Vine Earrings. She glows in this look. And the earrings pop against her relaxed half-up hairstyle, adding just the right amount of elegance. 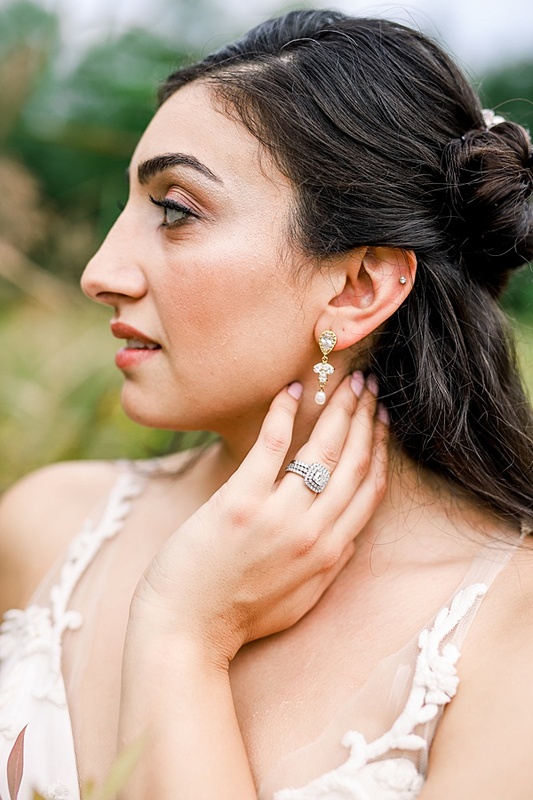 For the second bridal look, we chose an earring that is a bit more structured. Our Sprout & Pearl Earrings in gold offer a slightly more polished, less bohemian look. However, like so much of our jewelry, they are inspired by nature. We really can’t choose which look is our favorite. So, we’re not going to! We’re just going to bask in the joy of this couple. In true Maryland fashion, a signature wedding cocktail infused with Sagamore Rye is a MUST. 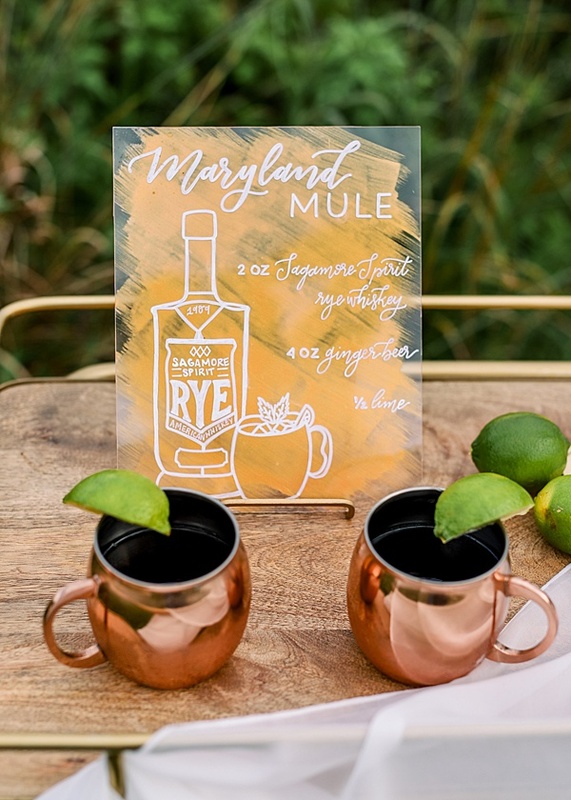 If you’re a fan of Moscow Mules, be sure to give this Maryland Mule a try. Just ask the bartender at your favorite waterfront spot this summer! Cheers! How beautifully delicate is the back of this dress?!? Sets off our Modern Geometric Crystal Haircomb quite nicely, doesn’t it? Haircombs are a perfect way to add a touch of sparkle to an understated wedding hair look. And, they make great heirloom keepsakes. They are the perfect piece to pull our each year for your anniversary date so that you can keep the memory of your wedding day fresh. Above or Below? Which earring is more YOUR style?! Tell us in the comments! Personally, we don’t think there’s a wrong answer! But, variety is the spice of life. Isn’t it great to have options!? 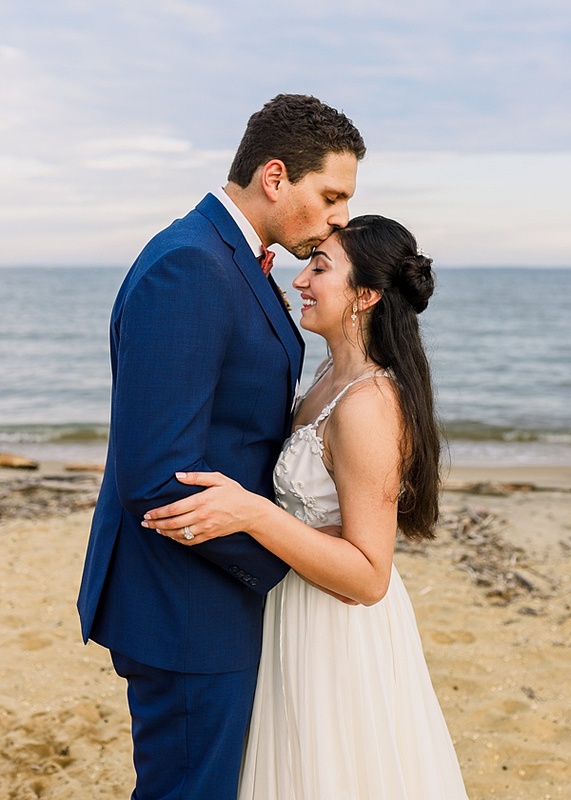 The beautiful thing about a Maryland waterfront wedding is that the backdrop is always stunning. And, you don’t need to add much to it! 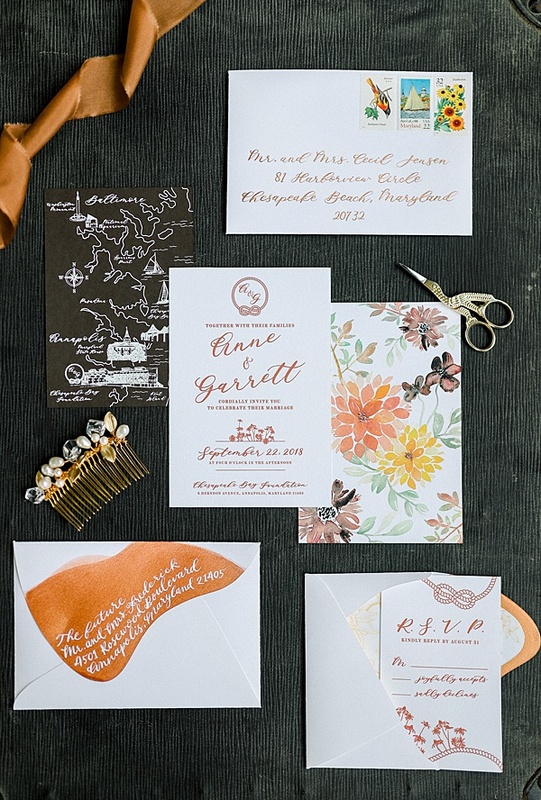 Our (second) favorite thing in this flat-lay photo are the Maryland themed stamps! Those little details make all the difference, don’t you think? 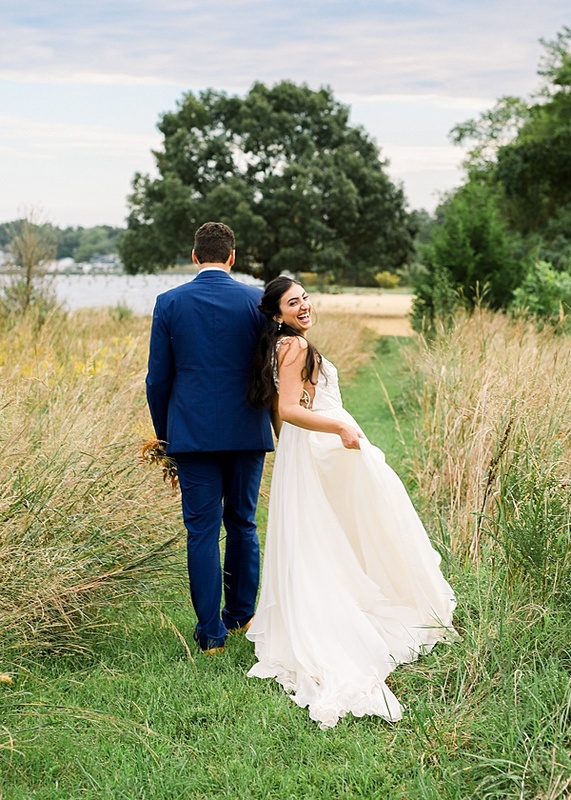 Maryland in the spring, stunning skyline, happy couple, heirloom quality jewelry… what more could you ask for? 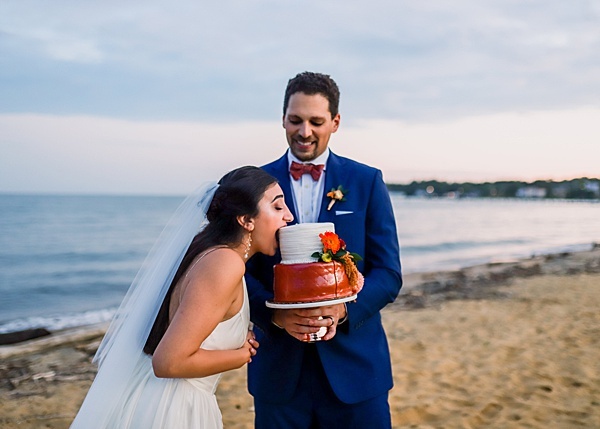 Oh yeah, a whole mouthful of cake! Yum! 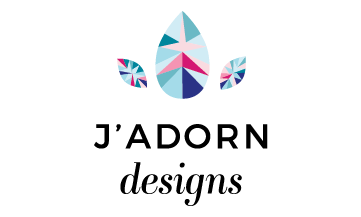 New Jewelry Collection Launch Day Tomorrow!